Physical retail is the next frontier for e-commerce. As ironic as it is, with recent years filled with media headlines like retail is dead, malls are rotting away, and the future of retail is online, many e-commerce darlings are expanding their online spaces to incorporate a physical element. The truth is that e-commerce paved the way not for an alternate way for consumers to shop, but rather for an additional way for consumers to shop. Retail is alive and on the rise. Malls are transforming. And the future of retail is ever-changing to meet the needs of the consumer. E-commerce start ups like Casper, Warby Parker, and Adore Me have been moving into the physical retail space in recent years. In fact, e-commerce retailers plan to open 850 stores in the next five years according to JLL – and that’s only what’s been announced. 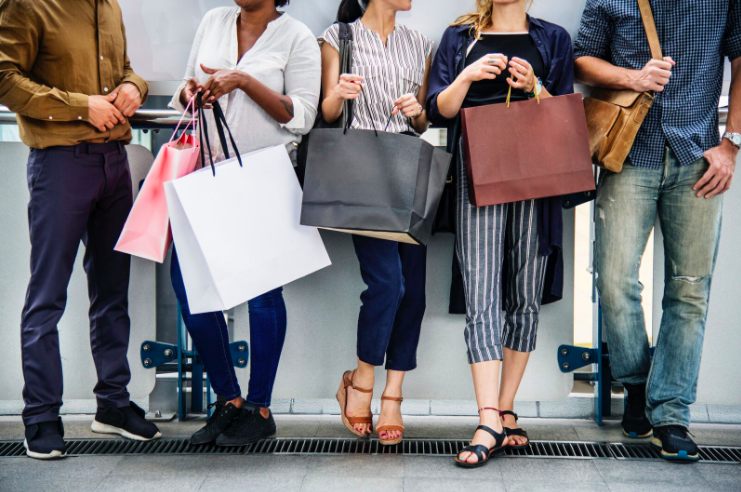 While e-commerce successes span a range of retail categories and niche consumer needs, those opening up a brick-and-mortar extension are concentrated in just two shopping categories: apparel and home goods. This wave of brick-and-mortar stores from online retailers comes during a shift in the industry, with profits on the rise for both online and offline point of sale. It’s evidence that providing a quality and tailored consumer experience is leading the future of retail, and we’re moving ever closer to a true omnichannel approach. These new brick-and-mortar stores aren’t a replication of the online process, they’re an extension of it. Bonobos is one of the early e-commerce startups to develop an unique in-store experience, something they don’t even call a store, but rather a Guideshop. Because they know their target audience, Bonobos recognized that men love to shop just as much as women – they just don’t want to carry around shopping bags. So, they built a shopping bag-free experience where consumers can book appointments, get free personal shopping sessions, and place online orders in-store. Everlane followed suit, opening stores that augmented their commitment to sustainable, ethically-made clothing that doesn’t skimp on fashion – exactly what attracted such a loyal brand following online. Their retail spaces offer up a plethora of information to interested buyers including books about their ethical factories, soundtracks of their production process, and educational labels on every item of clothing. Casper has done the same thing with their store locations; they’ve created an experience for their customers. Because they’ve built a brand on being different, their retail locations look nothing like a traditional mattress store. In lieu of countless rows of drab mattresses that customers lay down on within 6 feet of a stranger on another bed, Casper created private spaces that reflect real bedrooms to make the mattress shopping experience more enjoyable. Technology is making online stores more accessible, reducing the cost and time of shipping, and eliminating issues that arise in production factories and warehouses – but it hasn’t yet replaced the in-store experience. Technology may make ordering online easier and faster, but it doesn’t have the same influence on the consumer’s purchasing decision – yet. Many of the e-commerce businesses moving into retail are doing so as showrooms for customers to touch, feel, and experience the product before buying. Buying toilet paper or toothpaste isn’t a particularly special event, but buying a mattress that will last you 10 years, a car that will last you 5 years, or even a phone that will last you 1 year still is. Purchasing long-term products require more time and attention to find the right fit – but so do products that represent us as consumers. This is why the apparel category continues to boom. It’s certainly more convenient to buy a pair of shoes or jeans online, especially with free shipping and a simplified returns process. But consumers aren’t looking for just a pair of shoes or another pair of jeans: they’re looking for the perfect pair of shoes or the right pair of jeans. If apparel retailers can provide the experience of finding theperfect pair of shoes or the right pair of jeansin a physical space, those brick-and-mortar locations will take off! But this is just one facet to an omnichannel approach. Creating these in-store brand experiences, as showrooms or extensions of the online experience, allow former e-commerce companies to provide a seamless experience for their consumers – something that helped them succeed in the online space. While most e-commerce startups filled a missing need in the market, disrupted an industry, or created a new niche for their target audience, their success online was partially driven by convenience. By providing more convenience – and not just online – these brands are making their products more accessible and appealing, leading to more profit. E-commerce moving into brick and mortar may be the next stage of an evolving industry, but it’s certainly not the last. Can You Scale “Made in America”? What the hell is a H.E.N.R.Y? The Vinyl Explosion: Why Are Physical Products Blowing Up in a Digital World?